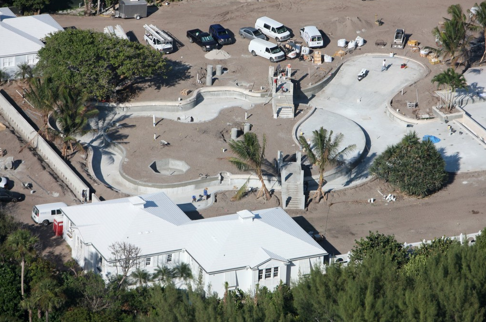 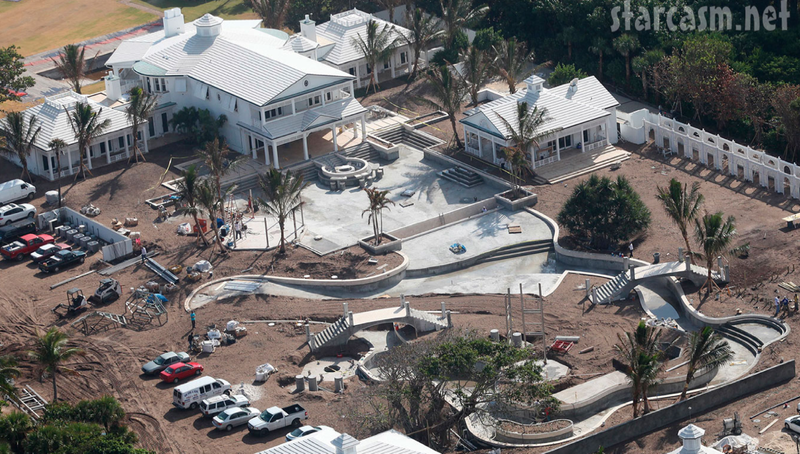 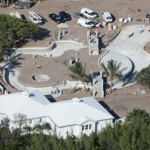 Superstar songstress Celine Dion has finished construction on her very own backyard “water park”. 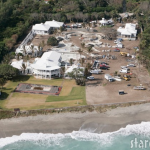 If you don’t know already, Celine’s management company, Renlec Management, paid $12.5 million back in June of 2005 for the property in the 200 block of South Beach Road on Jupiter Island in Florida. 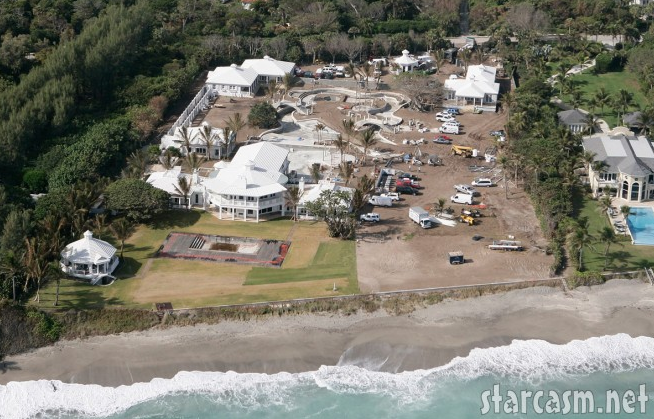 It already boasted a 2-story home that was demolished to make way for Celine’s new 3.7 acre compound. 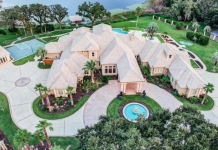 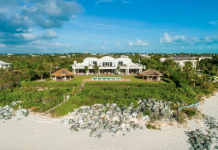 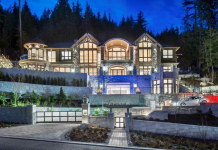 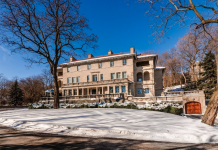 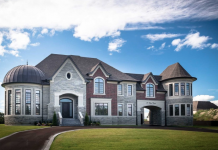 The main residence boasts 9,825 square feet of living space and has six bedrooms, eight full bathrooms, an elevator and a basement for laundry and staff living quarters. 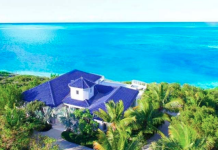 On the first floor, the octagon includes a living room facing the ocean and separates north and south wings containing bedrooms and a sound-proof TV room. 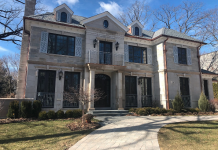 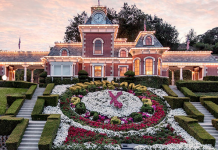 On the second floor, an elevator and staircase lead into a playroom and children’s rooms on the west side and an octagonal-shaped adjacent master suite on the east side. 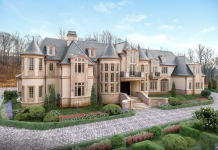 The master suite includes an outdoor spa, wide balconies and three fireplaces, and a 460-square-foot master closet. 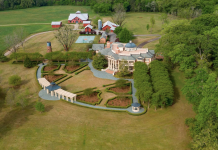 The entrance for the estate is on an adjacent 2-acre lot to the north that Renlec purchased in January of 2008 for $7 million. 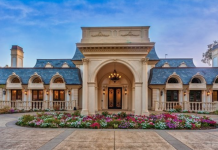 The property also features an 8 bedroom, 2,621-square-foot guesthouse, tennis court, and an underground garage. However the most impressive feature definitely has to be the mini “water park” in the front yard. 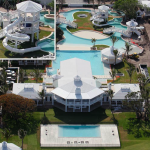 It boasts two swimming pool (one for guests), a lazy river, a pavilion, and a tower that holds an enclosed water slide. 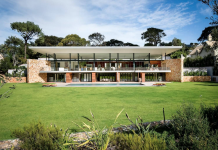 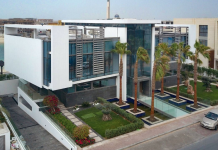 All in all, Celine’s compound, which took nearly 5 years to complete, boasts a total of 17,868 square feet, 15 bedrooms, and 14 full and 6 half baths.